I have been a decent and loyal customer at Espresso House for around 8 years or so. I have probably spent thousands of Euros on coffee and sandwiches there, and considering in what rate Espresso House expands, so has millions of other customers done also. So what is it that makes Espresso House such an successful business? Well first of all they obviously have a winning product! Who doesn’t like coffee, salads and sandwiches? They have a simple but well thought out concept which they manage to keep standardized down into the smallest detail. But is great coffee and nice sandwiches enough to make an successful cafe business, you ask? No, it’s not! In the title I was implying that there’s a secret to why they are so successful. Well guess what, it’s not a secret! But even so, many businesses seem to operate like this “trick” is the best kept secret in the world. What am I talking about? SERVICE! 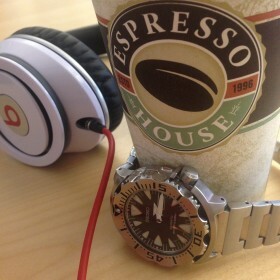 The people working at Espresso House are helpful, friendly, service minded and they smile! THIS is why they are successful, and the management of Espresso House has understood this, they know that a service minded staff will make customers come back! The survival of every business is depending on your customers, so they should be your number one focus. Being service minded and helpful is the smallest but most important investment you can do in your business.